Size: approx. 10-20 mm. Photo: 08/03/11, 11 am. 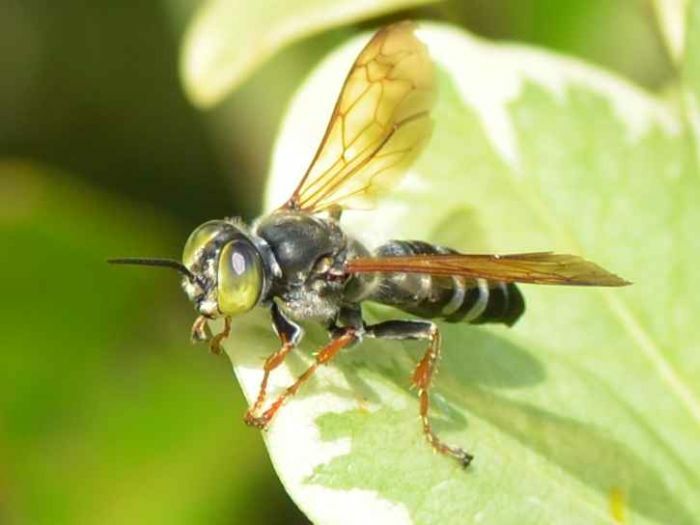 This green-eyed wasp belongs to the genus Tachytes which has 35 species in North America.